Ingredients: Talc, Mica, Titanium Dioxide (CI77891), Manganese Violet (CI77742), Ethylhexyl, Palmitate, Magnesium Myristate, Dimethicone, Iron Oxides (CI77491), Zinc Stearate, Iron Oxides (CI77492), Ultramarines (CI77007), Phenoxyethanol, Iron Oxides (CI77499), Boron Nitride, Lecithin, Methylparaben, Tocopheryl Acetate, Fragrance (Parfum), Glycine Soja (Soybean) Oil, Red 7 Lake (CI15850), Tocopherol, BHT, Retinyl Palmitate, Butylparaben, Ethylparaben, Limonene, Isobutylparaben, Propylparaben, Linalool, Hexyl Cinnamal, Benzyl Salicylate, Citral, Butylphenyl Methylpropional, Citronellol, Eugenol. Looks quite dark right? But look how natural it is on my NC20 skin! I applied twice on each cheek. 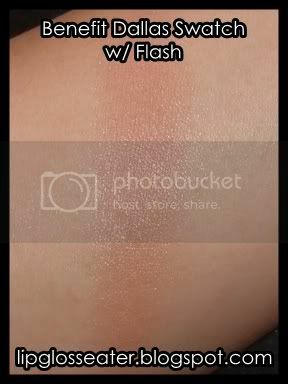 The lasting power of this powder is alright... it starts to fade after 6 hours, which is ok. 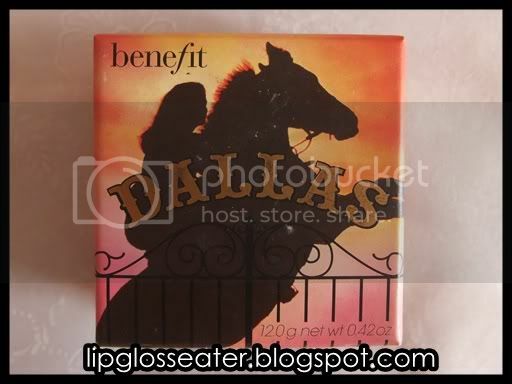 This product is priced at RM129 / US$28, which is a little more expensive than your regular blushes, although you get quite alot of product in a box. 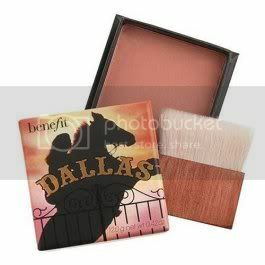 It's available at all Benefit counters and on Benefitcosmetics.com. I bought this powder when it first came out for collection sake, thinking that the dark rosey color will never suit my fair skin. Imagine my surprise when i first put this on! 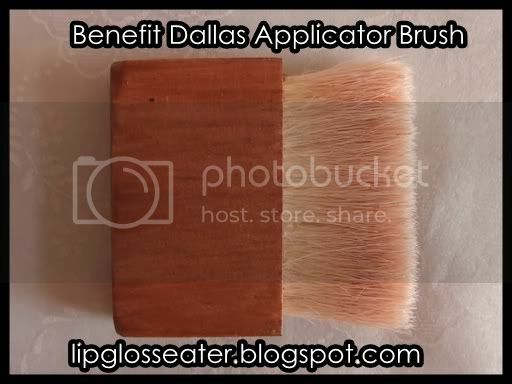 It made my skin look so naturally glowy that i forsake my other Benefit blushes for a few months after that! lol! 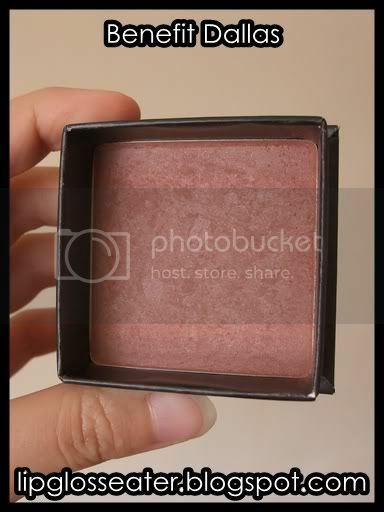 As with all Benefit stuff, this blush is a little pricey though. While i did not regret my purchase, i'm still on the fence whether i would ever repurchase it! hehe! Repurchase: Probably No, as i seldom reach for this blush nowadays. 4 Stars ! Pretty decent stuff! HEY YOU!!!! Awwww thanks! You know what's funny, I was looking for your blog the other day (at work) and I couldn't remember what it was and I was getting so frustrated I couldn't remember! Haha so now I added you to my Google reader so I have something to read! You are so adorable, how is India? Gosh I really wanna travel! 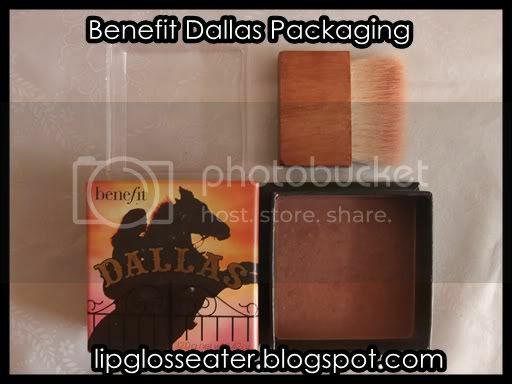 I've never given this much thought, but looking at the photos, it looks like a good bronzer. Dang it, you have tempted me big time, girl! Dear Tine, i'm sooo sorry!! i didn't mean to tempt you! lol!! 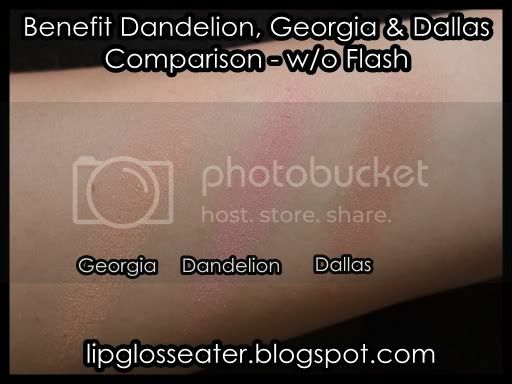 I saw your review on Benefit's Georgia bronzer and I decided to check your blog. 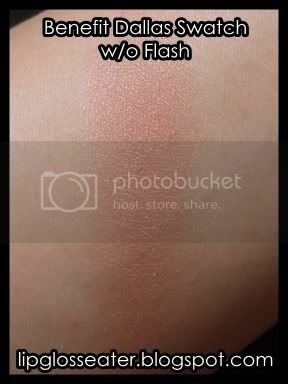 I've been looking for a beautiful peachy bronzer blush/bronzer. 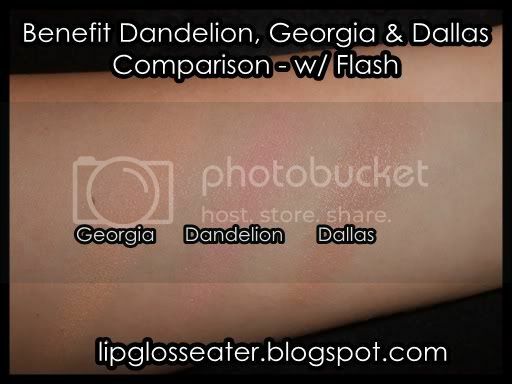 I have a similar skin tone to yours and I was wondering how well Benefit's Georgia looks on your face as a bronzer. lol nevermind. I seen the post. hehe.